Quite cool. I love it! I'm glad that you love it. I like both posters. Two romantics. Brilliant work! I wish it could be. But I'm not sure of the meaning of the name. What is it? I don't speak hindi, but think it means ''good hearted''. 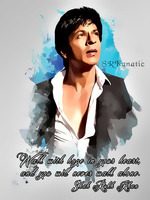 LOVE this the most, srkanatic. 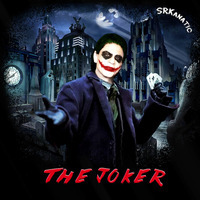 I think SRK would be brilliant as the joker. Though, I've always wanted him to do a vampire. Thank you for liking it, and yes, he'd be great as the joker. Every time I enjoy your posters. Creative works! The meeting of dapper and vigorous SRKs. Brilliant work again! What a font with diabolic embellishments! Red wine is like blood. 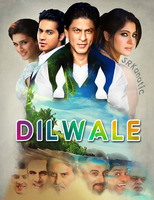 ''Bollywood's AVENGERS'' edited by me. 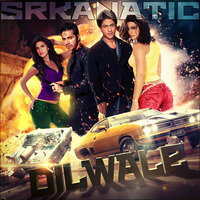 I got a kick out of this wallpaper, Bollywood's Avengers. I see everyone mataching perfectly, except for one, who is Captain America's BW actor? I really can't place him unless you are thinking of the new kid Varum Dhawan. This image suits him as G.One perfectly. Wow, how did I miss it, but I sure did. Thanks! I do love SRK as Iron Man or I should say G One with this armour suit in Blue for the sequel. 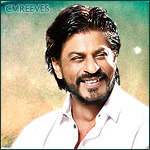 You need to give him (SRK) some ideas. Congrats on all your reposts on twitter, SRK Universe etc. Saw this wallpaper on four different sites other then this one. I must say your designs are always sleek, beautiful and professional looking! Thanks I try to make them look the best they can. I learn something new each time. Another poster of ''FAN'', by me.